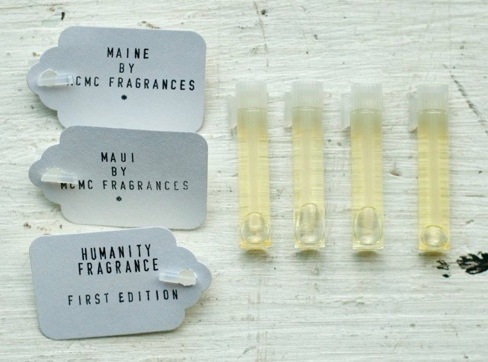 i purchased this sample pack of fragrances from brooklyn-based perfumery MCMC a few months ago. It's been fun trying out some of their fragrances before purchasing a whole bottle. My favorite is Maui, but Humanity and Garden are very pretty too. they're offering 30% off the sample pack, today only. Thought I'd let you know! mm, i'll look into it.